Eva Ingersoll Wakefield, granddaughter of Robert Ingersoll, "The Great Agnostic," poses for a picture wearing a dress and a bow in her hair. On verso: "To dear papa with very much love from Eva." 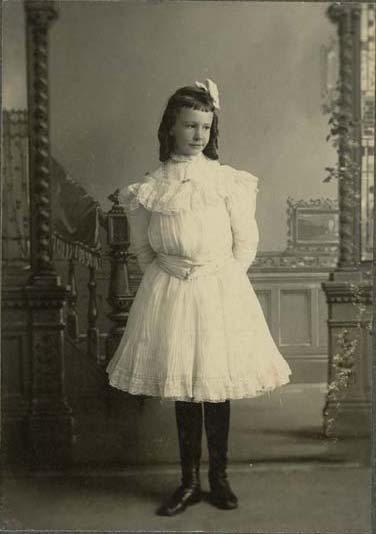 Devoe, “Eva Ingersoll Wakefield, Young Girl,” Chronicling Illinois, accessed April 25, 2019, http://chroniclingillinois.org/items/show/14923.